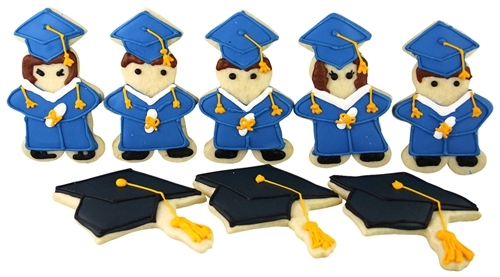 A unique treat for your recent graduate and all their closest friends. 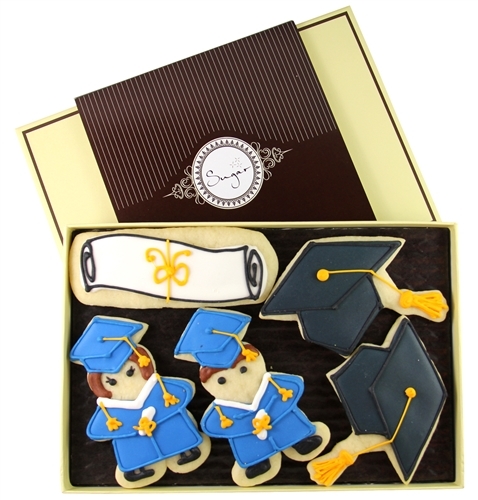 Ten cookies are included in our large gift box. Each cookie is hand-iced and delivered with your personalized message.